Walking your dog is one of the best bonding experiences that you can have together, getting out and about in the fresh air and letting off some steam. It is not only important for a dog to have regular walks, but it also has a number of benefits for the owner too. The only problem with walking your dog is that if they get excited, or if they are still young and in training, they can pull and tug on the lead. This not only makes it hard to control them as you walk, but it can also cause you or the dog an injury. One of the best things that you can do for both you and your dog is to buy them a no pull dog harness. The size and shape of your dog will have a huge impact on the harness that you choose, however, the most important thing that you need to do is to make sure that it is not only strong and durable, but that it is comfortable for your dog too. So, where do you start when it comes to choosing the best no pull dog harness for your dog? The idea behind a no pull harness is that it places pressure on your dog when they pull on the harness, which may not feel particularly pleasant to them, therefore stopping them from pulling again. However, these harnesses should never be painful and should never hurt your dog. 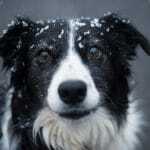 This means that it is incredibly important to choose the right option for your dog. 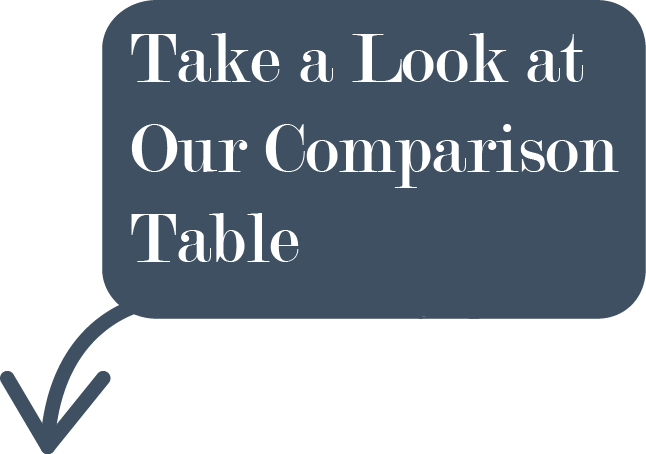 The first thing that you need to do is to take the time to research the different harness options that are out there for you to choose from. There are harnesses that will look great, but that won’t be made to the highest quality as other options and that won’t be as comfortable or durable as others that you can choose. You need to ensure that the dog harness that you choose is right for both you and your dog, else you could end up with a cupboard full of different harnesses, none of which actually fit your dog as they should. One thing that you need to consider when it comes to your dog’s anti pull harness is the fabric that it is made from. It should be strong and durable, yet still be soft and comfortable enough against your dog’s skin. If you have a dog that is a bit of a fan of jumping in and out of the water when they are out on a walk, then you are going to need to choose a harness that will be quick to dry and won’t end up getting dirty too quickly. It is important that any harness you buy your dog fits them properly. Else they will end up uncomfortable and they may even end up getting free whilst you are out for a walk. 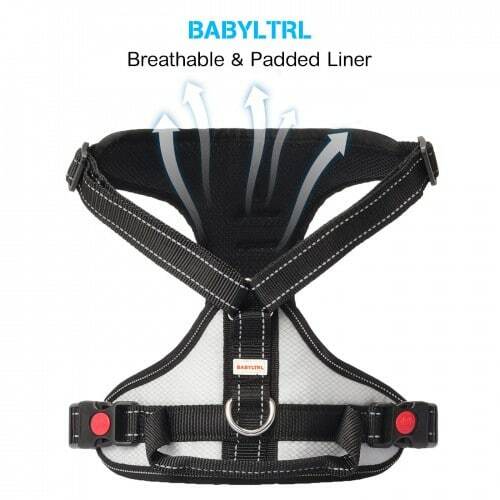 Every harness should come with adjustability. However, it is the amount of points that the harness will adjust that will make a difference to how well the harness will actually fit your dog and how it will feel for them. Even the smallest of dogs can be strong when they want to get somewhere. Which is why many dog owners decide that an anti pull harness is the best idea for them. One of the key factors that you need to consider when buying a harness is that it is going to be strong enough to stand up to any excited dog. You don’t want your harness to break and your dog to get free. Not only this, but you also don’t want to have to keep replacing it, especially considering how much they can cost. Once you have picked a harness for your dog, you need to make sure that it is going to actually fit your dog properly. Aim for a harness that is going to match the size of your dog, this is always a good starting point. When you have this in mind you need to make sure that the harness fits your dog perfectly. 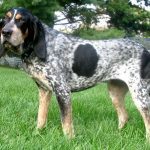 You should measure the neck, girth and chest of your dog and take a note of these against the specific measurement of the harness that you have chosen. If you find that your dog is between sizes, then you should pick the bigger size, as the harness can always be adjusted if need be. 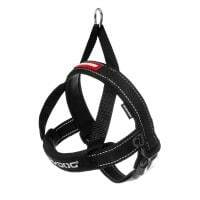 There are a variety of different no pull harnesses out there for you to choose from. Here we have 5 different options that you can consider for your pooch when the time comes to head out for a walk. Big dogs need a big harness and this particular harness by Babyltrl is great if you have a big dog who pulls when you are out and about. 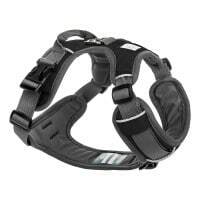 Whilst it is designed for bigger dogs, this particular harness will also fit on the larger end of medium sized dogs too. This is all thanks to the adjustable and easy to wear nature of the harness, which can be easily snapped into place, before being adjusted to match the size of your dog. Designed to be able to withstand all the power of a big dog, this harness is designed to last, even if it is pulled around by your dog, durable and resiliant, it is exactly what you are going to be looking for when you have a strong dog to walk. 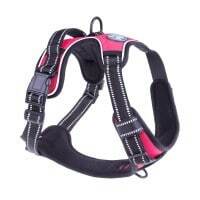 This harness is also designed not to choke or cause discomfort to your dog. The pressure that is created when they pull is distributed evenly throughout their body, which makes their walk a whole lot more comfortable. One possible downside that customers have found with this particular harness is that the plastic buckles are not as strong as they would hope for and instead metal buckles would offer a much stronger attachment for the harness. Available in a range of colours, this dog harness might look like it is all about the style, but in actual fact it has been designed with functionality and durability in mind. A no pull harness with a no choke design it is used to discourage pulling, allowing you to enjoy your walks with your dog again. The harness is made from scratch resistant and easy to clean materials which are not only breathable for your dog, but also are quick dry too. Ideal if you have the top of dog that loves nothing more than jumping in and out of the water whilst you are out with them. Entirely comfortable for your dog, it comes padded and can be adjusted in four different ways, which makes sure that no matter how long you are out for a walk, no matter how far you go. Your dog is always going to feel comfortable and secure. Looking at some feedback for this particular harness it does seem that you need to pay particular attention to the fit. Making sure that you measure your dog appropriately and also checking it against the size chart too. It does also appear that this harness is seen as coming up big on your dog rather than small. 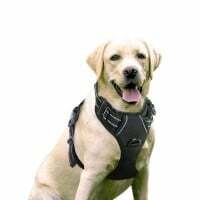 Available in a range of sizes, this particular harness is suitable for dogs of any size and is designed to make your walk times much easier to handle. Much like many other harnesses out there, this particular model focuses on allowing the pressure created by the dog pulling to be distributed throughout the entire body of the dog, stopping the choke that dog owners will be concerned about. Within the harness there are adjustable sliding straps which will help you to ensure that it has the best fit for your dog and it also comes with reflective strips which will keep your dog safe when you are out in low light. The harness is made from soft and breathable materials, with heavy padding, which keeps your dog comfortable whilst you walk. 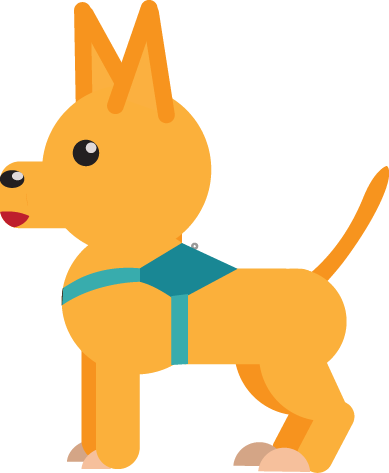 You also have 2 different attachment points for the leash, one on the back and one on the chest. Feedback on this particular harness has pointed out that the straps may not be quite as strong as they could be, which means that if you have a particularly strong dog, this may not be the ideal harness for you. Else you could end up with an escaped dog. One of the biggest positives about this particular dog harness is that it is designed to be easy to put on and take off as and when you need to. It is also fully adjustable, which means that you can make sure that it is comfortable for your dog as well as being secure and a good fit. The harness is lightweight and designed for every single day. 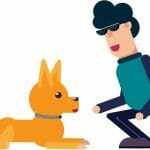 Which means that you can walk your dog safely and securely. Exactly what you are going to want. The harness is filled with soft padding which means that your dog is going to feel happy to wear it, no matter how far you decide to walk. There are two attachment points on this particular harness, the front attachment is best during those early training stages, whilst the back harness is ideal if you are both used to going out for walks. Best of all, the harness is designed to allow the pressure caused by the dog pulling to be evenly distributed through the body of your dog, with no chance of them choking. Some customers have found that there can be some problems with the buckles staying locked on this harness, as well as the D rings staying secure. 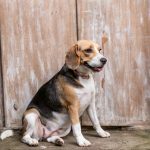 There are some harnesses out there that are not the easiest to put on and take off, which means that your dog is going to start wiggling around and you are going to get frustrated. Not exactly the best way to start any walk. This definitely is not the case with this particular harness, which is designed to be just as easy to use as a collar, but has all the benefits of a harness. The harness is padded and made from neoprene which is not only comfortable for your dog, but is also made to be lightweight and quick drying too. It is also fully adjustable on the chest strap, which means that your dog can feel comfortable and you can be sure that the harness has the best fit possible. Some customers have stated that the smallest of sizes of the harness may not be suitable for the smallest breeds of dogs, which is not ideal if you have a toy dog or a really small breed. As you can see, when it comes to choosing an anti pull harness for your dog, there are plenty of options consider. The most important thing should be that your dog is comfortable and happy in their harness an that you can take walks together with minimal fuss and hassle.